Earlier today, we reported that Suicide Squad director David Ayer is reuniting with star Margot Robbie on a new project entitled Gotham City Sirens, which will feature Margot Robbie's Harley Quinn from Suicide Squad, along with Catwoman and Poison Ivy. Fans have already started wondering if this project will have an impact on Suicide Squad 2, which Warner Bros. reportedly wanted to start filming early this year. 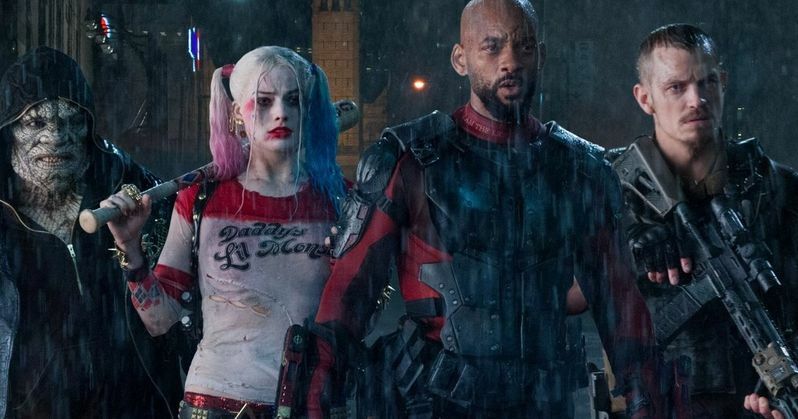 It seems that Suicide Squad 2 is still very much in development, along with a Deadshot spin-off starring Will Smith, but they both aren't quite ready yet. The Hollywood Reporter reveals that this Gotham City Sirens project was farther along in development than both Suicide Squad 2 and the Deadshot spin-off. Since Margot Robbie's Harley Quinn character was one of the most praised aspects of Suicide Squad, which was received quite poorly overall by critics, and this project was further ahead than Suicide Squad 2 and the Deadshot movie, it made more sense for director David Ayer to return to Warner Bros.' DCEU for this project first. Even though Gotham City Sirens may be farther along than the other two projects, it still came together quite rapidly. We first heard about this project in May, when Margot Robbie brought the idea to Warner Bros. That initial report revealed that the then-untitled project would not only feature Harley Quinn, but a number of other DC female characters, such as Batgirl and the Birds of Prey. The actress even brought on a writer herself to develop. Warner Bros. hasn't announced a release date for Gotham City Sirens, but we reported last month that Christina Hodson came aboard to write the script. It isn't clear if Christina Hodson was the writer originally brought on by Margot Robbie, or if she was hired later by the studio. As for Suicide Squad 2, a report surfaced in April which claimed that the sequel will be R-rated, following the success of the R-rated superhero blockbuster Deadpool. David Ayer teased in August that the story is still in the works, although he wouldn't offer any specific details. The director is currently filming Bright for Netflix, with another Suicide Squad star, Will Smith, which is reportedly wrapping up principal photography very soon. Warner Bros. had wanted to start filming in early 2017, after Bright had wrapped, but it seems the sequel still isn't ready yet. Nothing has been announced regarding a Deadshot movie, but given Will Smith's box office clout and A-list status, it isn't terribly surprising that the studio wants to develop a spin-off based on his character. It remains to be seen if the studio has a writer currently working on this story, or if David Ayer will return to direct this stand-alone film as well, once he gets Gotham City Sirens and Suicide Squad 2 off his plate. With the DCEU continually evolving, it remains to be seen how Suicide Squad 2 will be developed.